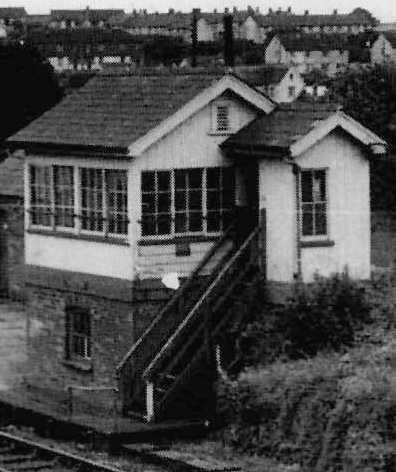 All photographs on this page have been published elsewhere and are presented here as low-resolution images for information purposes only, to illustrate the points being made about how the signal box developed. Credit has been given for the photographs where known. 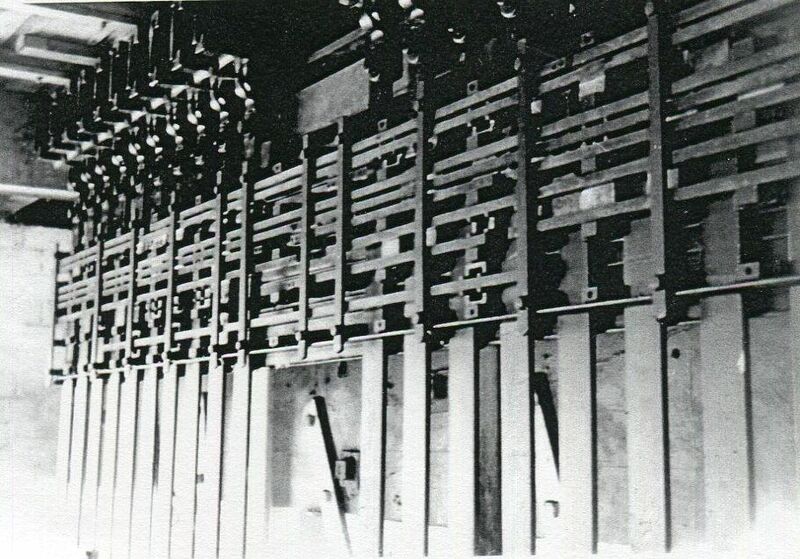 This is a standard GWR ‘Type 3’ box installed at the construction of the line in the 1880s. It was originally equipped with a 14-lever frame (including spares) but a 21-lever frame was installed in 1958. 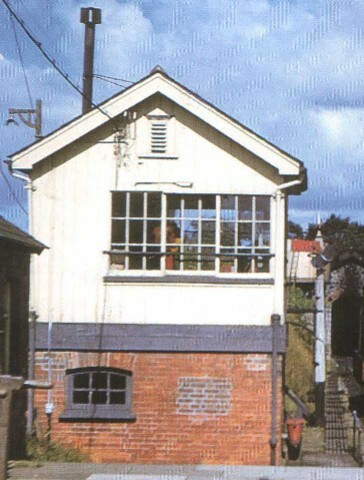 Drawings of the signal box in its latter days by Pat English can be found in the Oakwood Press book No 184 of the Helston Branch Railway by Stanley C. Jenkins. 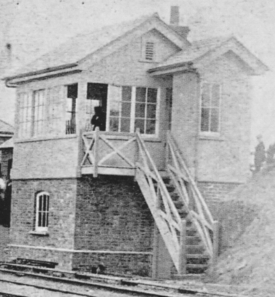 Helston signal box in 1887 when the first train was run (left). Helston Folk Museum. 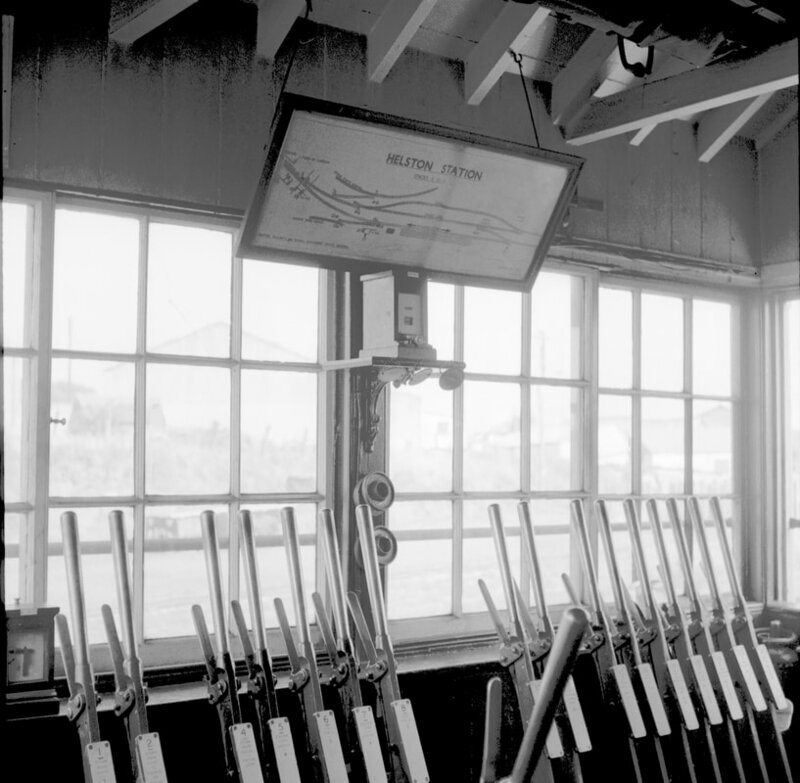 Helston signal box at the turn of the century (right). Lens of Sutton collection. 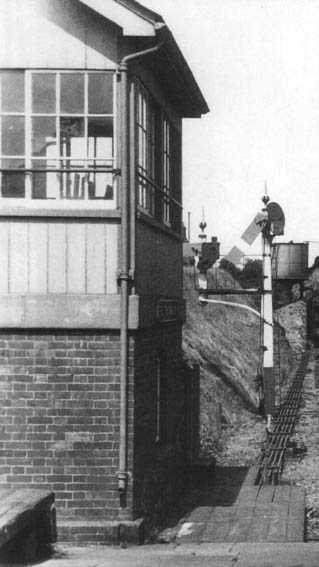 Note that the original Type 3 signal box had steps descending parallel to the tracks. These were later repositioned – the author believes this was between 1930 and 1935. 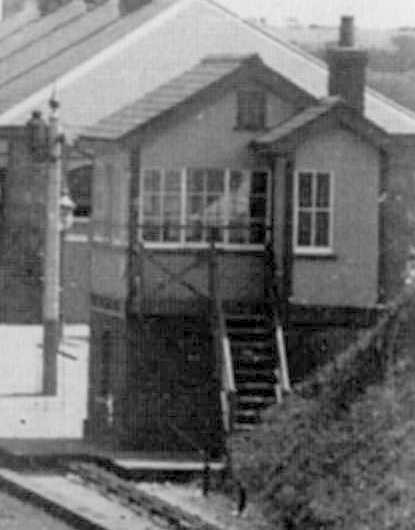 Left: The author believes this photo to date from the late 1930s or early 1940s, and the Signal Box steps had been repositioned to be perpendicular to the tracks. G N Southerden. Centre: This photo is recorded as dating from 1948. J H Moss / R S Carpenter. Right: Photograph taken near the end of steam on the branch – the early 1960s. Note that the end wall has been repaired – there is no evidence in earlier photographs of a window in that location. John Strange. Helston Signal Box Locking Room. A glimpse of the locking frame. Picture by the late Patrick English. From the Mike Hitchens collection. Helston Signal Box track diagram and lever frame. Photographed after the line closed to passenger traffic but was still used for freight. September 1964. Copyright: Laurence Hansford.